The sun has set on Riverview Park, but it is fondly remembered by thousands of guests. 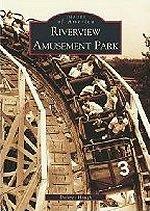 Riverview Amusement Park was the crown jewel of Chicago attractions for decades as it showcased new and innovative rides, exciting attractions, and outstanding entertainment for everyone to enjoy. During the park's 64 year history, it hosted hundreds of millions of guests and today it is still fondly remembered as a classic part of amusement park history. 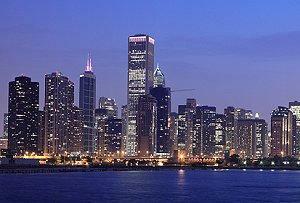 Riverview Park was founded by the wealthy Schmidt family, German immigrants who settled in Chicago. While the park initially began as just a picnic area and shooting range, it eventually grew to more than 150 acres of amusement attractions, rides, and thrills between Belmont and Western Avenues. Positioned on several major streetcar and bus routes, Riverview Park was easy to get to and affordable, and the park's dedication to always bringing new and exciting attractions to the neighborhood made it a popular destination for decades. The Bobs: This terrifying wooden roller coaster opened in 1924. At only 87 feet tall it may not have seemed initially impressive, but the steeply banked turns, abrupt drops, and wicked angles of the ride quickly gave it a thrilling reputation. The Derby: This wooden racing coaster was popular from the time it opened in 1909 until it was destroyed by an amusement park ride fire in 1932. Velvet Coaster: Named for its smoothness, this softly undulating coaster was only one of 19 coasters the park would have during its history. Shoot-The-Chutes: This quick ride ended in a thrilling splash and was popular for all ages. Double Whirl: This innovative Ferris wheel was actually six wheels connected to a central pole, offering a fun though disorienting ride. Flying Turns: This wooden bobsled coaster opened in 1935 and remained popular until the park closed in 1967. Today, a modified replica is under construction at Knoebel's Amusement Park in Pennsylvania. Aladdin's Castle: This walk through fun house opened in 1932 and offered different rooms with disorienting features to keep guests guessing. Pair-O-Chutes: This parachute drop ride was built on the reconfigured tower of the park's original observation tower ride and offered a more exciting way to get a bird's eye view of the park. In addition to these major rides, Riverview Amusement Park was also home to an extraordinary carousel, a unique "Aquarasel" water carousel, dark rides, carnival rides, and additional roller coasters. Riverview Park offered guests all manner of food and drink. During the Prohibition years, the park was known to sell beer and liquor illicitly, and in the 1930s, the first foot long hot dogs were introduced here. While many guests visited Riverview Park just to tempt the thrilling rides, the varied entertainment was also enjoyable. Motorcycle races, variety shows, side shows, bands, and more could be found at the park, making it popular for special events and meetings. At the end of the 1967 season, Riverview Park advertised its opening date for 1968, but the gates were never to open again. Shortly after the end of the season, the park announced that it would not reopen, and there was much speculation about why. The park had been profitable up until it closed, and it was rumored that escalating racial tensions and de facto segregation in Chicago in the 1960s made the owners uncomfortable and less willing to keep the park open. In truth, however, Riverview Park likely closed for economic reasons. While it was profitable, the $6.5 million sales price was too good to pass up, and within a few months, the rides had been sold or demolished and Riverview Park was no more. Today, Riverview Park exists only in the memories of the thousands of guests who visited daily and enjoyed all the rides and attractions the park offered. Rare memorabilia can still be found through vintage dealers and auctions, and the only surviving ride - the ornate, five-row carousel - can be enjoyed at Six Flags Over Georgia, where it has been fully restored. The land that was once Riverview Park is now home to a manufacturing plant, shopping center, DeVry University, and the Belmont District Police Station. In front of the police station, a small statue pays homage to the golden age of amusement parks and the one Chicago park that was among the most popular. It is rare for theme parks to last for decades, but parks as popular as Riverview Amusement Park stand the test of time not only while they are open, but long after they close as guests fondly remember the joy they experienced.